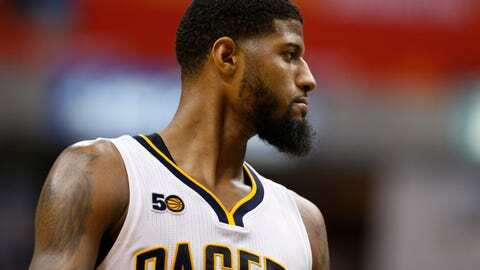 The Pacers didn't trade Paul George, nor did they add any pieces to support him. INDIANAPOLIS — Paul George finished practice Thursday by laughing, joking and slapping hands with the same teammates he’s played with all season. Then he took out his frustration publicly. After almost a week of speculation about George’s future, the Pacers decided to stand pat at the trade deadline. They kept their biggest star, kept their supporting cast intact and apparently kept George out of the loop on the trade talks. Of course, he wasn’t completely out of touch. While George tried to block out the noise, he acknowledged he was aware of rumors being bandied about on television, radio, social media, Internet sites and newspapers. Larry Bird, Indiana’s president of basketball operations, listened to offers and eventually decided not to make the move. He also declined George’s advice about adding more “pieces” to the Pacers’ roster this season. Bird did not speak with reporters after watching practice. It’s not the first time George has publicly complained about the front office. He and Bird traded barbs in the summer of 2015 when Bird asked George to play power forward. George started at that spot last season before returning to his more natural position, small forward. Now, the Pacers must wait to find out if they’ll continue to work for the same team a few more years. George can opt out of his contract after next season, which complicated the trade talks because some people believe George would head to the Lakers if he becomes a free agent. George’s comments on ESPN Radio last Friday created more confusion. After talking about his desire to “play on a winning team” and reportedly meeting with team owner Herb Simon during All-Star weekend, George returned to Bankers Life Fieldhouse on Wednesday and said he would “love to” finish his career with the Pacers. He is staying put, for now, a relief to many of his teammates. Coach Nate McMillan also was focused on winning games. George is one of the league’s best scorers, has appeared on the league’s all-defensive team three times and was the NBA’s Most Improved Player in 2013. He’s led his team to two conference finals and won an Olympic gold medal. He has a propensity for delivering on promises, like when he swore to come back better than ever after breaking his lower right leg in a horrifying scene 2 1/2 years ago. 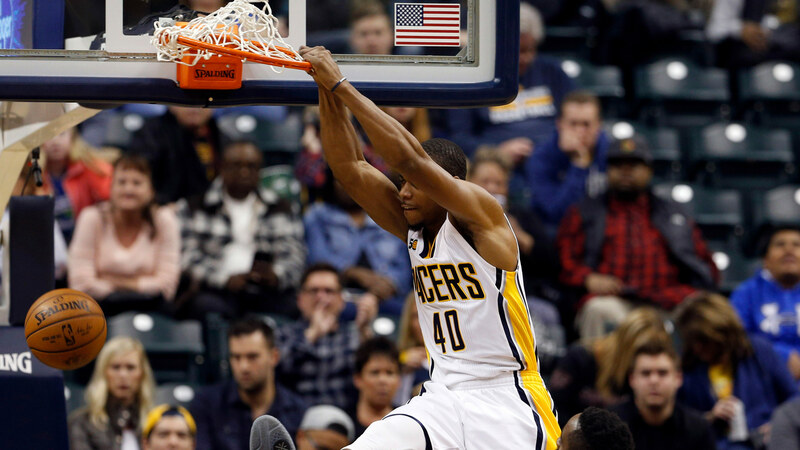 But the Pacers need more out of George and others when they return to action Friday against Memphis. They have lost a season-high six in a row, four of those at home, and are sixth in the Eastern Conference standings. If things don’t improve, the Pacers and George could be going through this same scenario during the offseason or before next year’s trading deadline. And if it happens again, George is hoping he’ll know more about Bird’s plans.